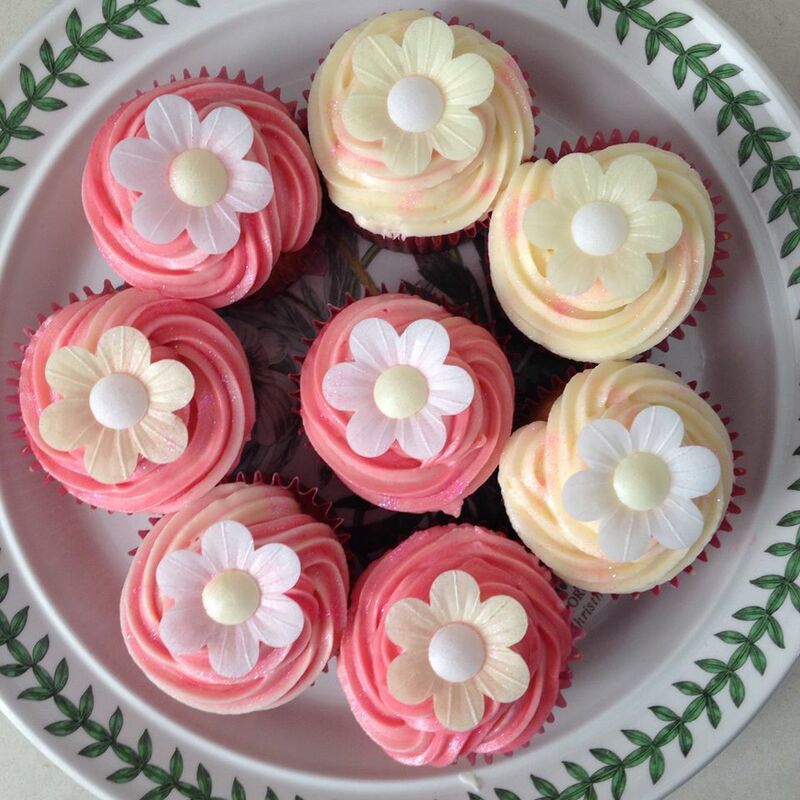 Pre- heat your oven to 180 degrees and line 12 cup cake tray with pretty floral or spotty cup cake cases. Cream together the butter and sugar in a large mixing bowl, until the mixture forms a smooth paste. Crack in one already whisked egg and mix in until there are no lumps in the mixture. Add in the self raising flour a bit at a time and fold into the mixture, gently ensuring no air is knocked out. Add a splash of milk if the mixture appears dry, the batter should be just about falling off your spoon and smooth in consistency. Add the vanilla extract and stir in gently. Using a tsp spoon the batter into the cake cases, filling them 3/4 of the way up before placing into the oven. Bake for 10- 15 minutes. Cream together the butter and icing in a small mixing bowl, adding a dash of milk to combine the icing. Add a few drops of red food colouring, or leave without if you want a white icing, and stir into the butter icing. Using a large nossel piping bag, spoon in the butter icing and begin icing the cakes creating a swirl from the outside- in. 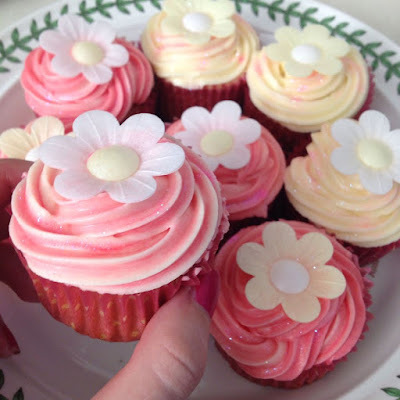 Put one sugar paper daisy/ flower on each cake and sprinkle some edible glitter. Place in the fridge for 15 minutes for the icing to set.